There has been plenty of rumors surrounding the PlayBook OS 2.0 release date but one thing for certain is that it'll be in February. The dates have ranged anywhere from February 9th all they way to the end of February but one date in particular has been popping up more often than not and that's February 17th. Something that hasn't been mentioned though is the OS version we can expect. 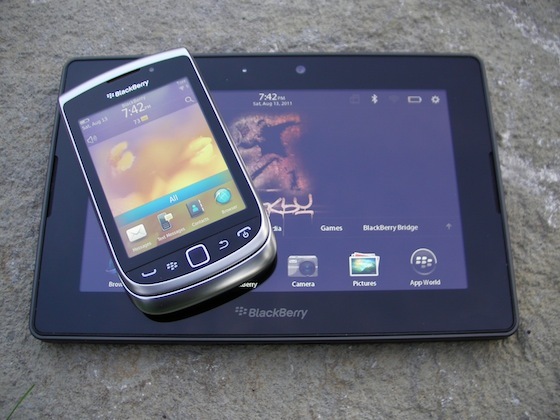 At CES the PlayBooks were running OS 2.0.0.7116 and RIM reportedly was testing later versions in house. New rumors are now suggesting we can be expect OS 2.0.0.7473 to end up in consumers hands come February 17th and while we'll take it all with a grain of salt -- it's something to keep an eye out for.